Russia’s growing collusion with China and Pakistan will continue to test the Indo-Russian partnership in the coming years. While Putin has celebrated his victory as recognition of “the achievements of the last few years,” the elections were stage managed to a large extent with the main opposition leader, Alexei Navalny, being barred from the race. With the coronation of Xi Jinping as China’s “emperor” for life and Putin’s election in Russia, a new form of authoritarian political order is shaping up, challenging the liberal order like never before. India, of course, has a long standing relationship with Russia but that is undergoing a shift in the light of rapidly evolving geopolitical realities. Prime Minister Narendra Modi was prompt in tweeting his wishes for Putin’s new term in office. For India, what should be concerning is Russia’s increasing tilt towards Pakistan as it seeks to curry favour with China. Moscow had historically supported New Delhi at the United Nations Security Council by repeatedly vetoing resolutions on the Kashmir issue. 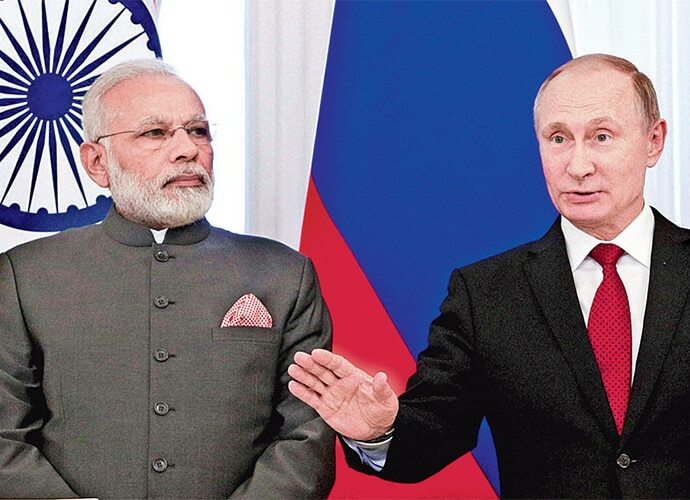 Despite the best efforts of the top leaderships in India and Russia, divergences are growing in this bilateral relationship as the underlying structural changes in the international environment are pulling the two nations apart. For Russia, the US-led West presents its biggest challenge and its foreign policy priorities increasingly revolve around pushing back against the West at every level. The West views Russia as one of the most disruptive forces in global politics, even more so than China in many ways. The initial optimism of a US-Russia rapprochement post Donald Trump has died down now with domestic politics in the US becoming ever so contentious. For India, the prism is different as it has to manage the negative externalities emerging from the rise of China in its vicinity. Chinese power is now intruding into India’s traditional sphere of influence in South Asia and the Indian Ocean region. The growing power disparity between India and China is making the border situation more unstable. China-Pakistan nexus is proving difficult to contain as India gets ready to face a two-front challenge. China refuses to recognise Indian global power aspirations and has not yielded on key Indian security demands. As a result, while Russia may find cooperation with China as a perfectly legitimate response to its problems with the West, India does not have that luxury. New Delhi has to therefore find like-minded countries to build alternative platforms and narratives so as to preclude Chinese hegemony in the wider Indo-Pacific. Russia’s growing collusion with China and Pakistan will continue to test the Indo-Russian partnership in the coming years. For a relationship that largely relies on defence and where the economic underpinnings are lagging, the need of the hour should be to have candid conversations about the current state of play in the relationship. Just relying on sentimentalism of the past won’t work anymore as new challenges confront India and Russia and the lobal geostrategic environment undergoes a profound reordering. The writer is Professor of International Relations at King's College London. His most recent book is India's Afghan Muddle (HarperCollins).